This the last and final phase in the Country Classics at Hillsborough Community. We have been building in Hillsborough for over 30 years, and this is the LAST CHANCE to build your dream home in this amazing community! 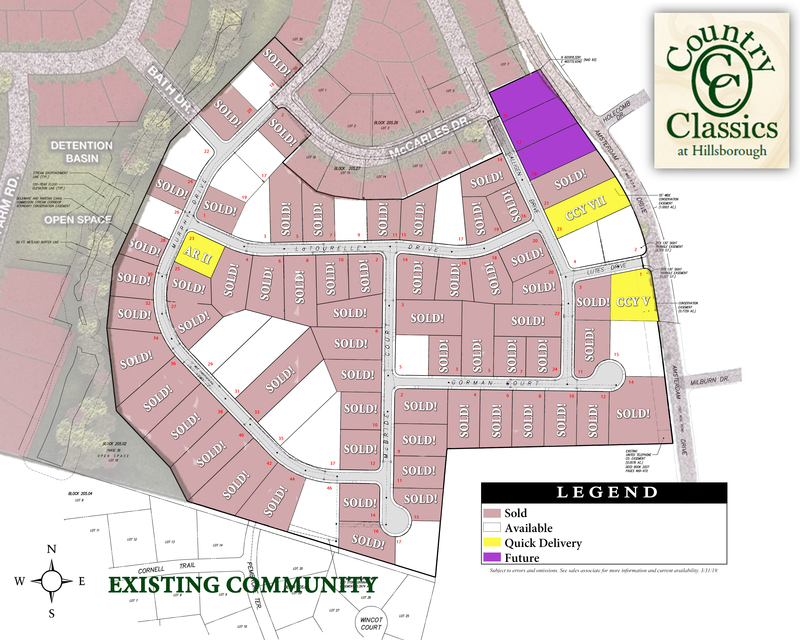 Speak with a Sales Associate regarding availability as our map changes frequently due to deposits and contracts. Subject to errors and omissions.